This tiny layout is for testing and demo's. 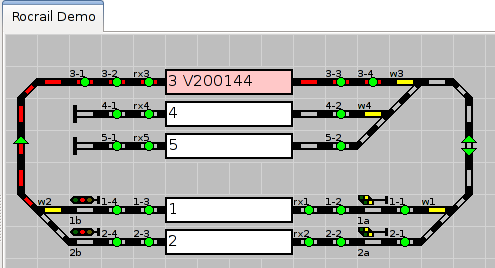 It sizes only 100 x 50 CM and could run 3 locos at max. It also features bi-directional communication as offered by Digitrax in form of Transponding. RailCom would be also interesting, but needs special boosters and receivers. The Digitrax solution is additional like Uhlenbrock's Lissy. Transponding is optional and can be left out. A good alternative to the Digtrax BDL168 is the one MGV50 and two MGV93. 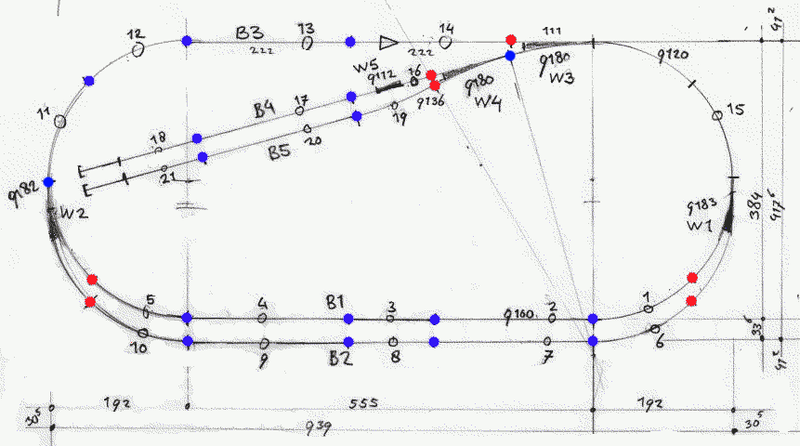 The blue dots are single and the red are double isolated. 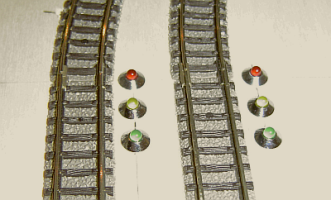 The double ones were for a trackdriver system like Dinamo. 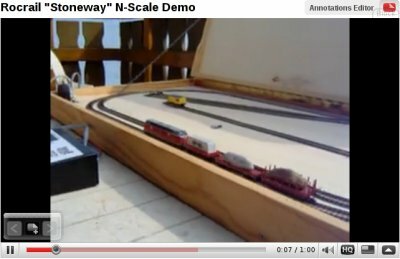 "Stoneway" movie of running layout.